Robin Hood Gardens is a residential estate in Poplar, London designed in the late 1960s by architects Alison and Peter Smithson and completed in 1972. 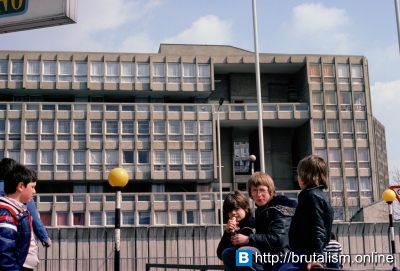 It was built as a council housing estate with homes spread across 'streets in the sky': social housing characterised by broad aerial walkways in long concrete blocks, much like the Park Hill Estate in Sheffield. The estate comprises two long curved blocks facing each other across a central green space, and in total covers 1.5 hectares (3.7 acres). 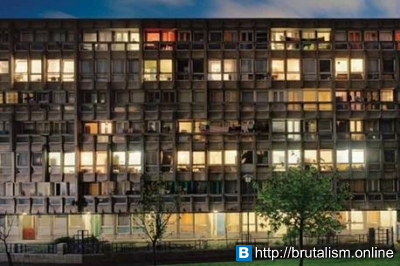 The blocks are of ten and seven storeys, built from precast concrete slabs and contain 213 flats. In the central green area is a small man-made hill. The flats themselves are a mixture of single-storey apartments and two-storey maisonettes, with wide balconies (the 'streets') on every third floor. The complex is 200m north of Blackwall DLR station, with its direct links to the City of London and separated by a bus terminus. It is within sight of the nearby Balfron Tower. 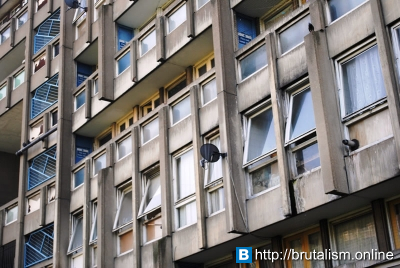 A redevelopment scheme, involving the demolition of Robin Hood Gardens as part of a wider local regeneration project, was approved in 2012; however, as at March 2016 the estate was still intact and many flats were still occupied. 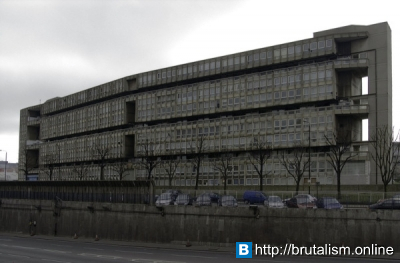 An earlier attempt, supported by a number of notable architects, to head off redevelopment by getting the estate listed status, was rejected by the government in 2009. 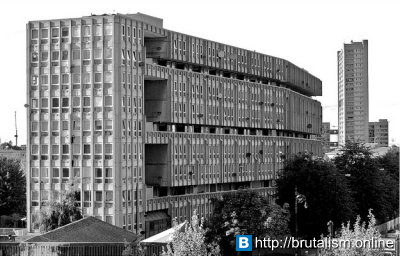 A campaign was mounted in 2008 by Building Design magazine and the Twentieth Century Society to get Robin Hood Gardens listed as a historical landmark in order to save it from destruction, with support from Richard Rogers and the late Zaha Hadid; the latter counted it as her favourite building in London. However, English Heritage did not back the proposal, with its commissioners overruling the advice of its own advisory committee. 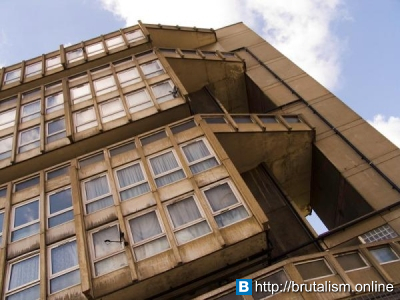 This was because it did not fully meet the strict criteria for listing post-war buildings, and because the building had suffered serious shortcomings from the start, as the designers had been forced to compromise on issues including the width of the access decks. 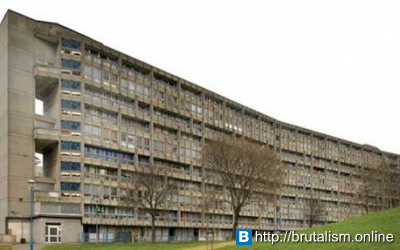 The campaign to save Robin Hood Gardens drew very little support from those who actually had to live in the building, with more than 75% of residents supporting its demolition when consulted by the local authority. In May 2009 the Minister of Culture, Andy Burnham, reiterated an earlier government decision not to list the estate and also granted a Certificate of Immunity from listing, meaning that the structure could not be reconsidered for listing for at least 5 years. 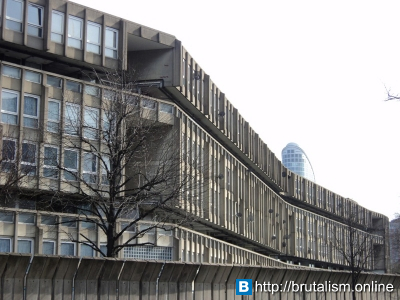 This ministerial decision endorsed the recommendation of English Heritage that Robin Hood Gardens "fails as a place for human beings to live" and did not deserve statutory heritage protection, leaving the way open for Tower Hamlets Council to proceed with its demolition and redevelopment. A resident's own survey, published in Building Design in June 2009, found that 80% of residents wanted it refurbished. In October 2009, opposition councillor Tim Archer accused the Council of ignoring maintenance problems to encourage residents to move out. The Council declared the site to be part of a larger regeneration area named Blackwall Reach, bounded by East India Dock Road to the north, the Blackwall Tunnel Northern Approach (A102) and East India Docks to the east, Aspen Way to the south and Cotton Street to the west. It plans to provide 1,600 new homes in this area along with improvements to the primary school, a new park and other community facilities. In April 2010, Tower Hamlets shortlisted groups of architects, housing associations and developers to undertake the £500 million project. Before the final announcement, the designs for replacement buildings were condemned in The Observer as "generic developers' fare, with... no sense of place". Swan Housing Association was selected, with a plan to replace the current broader green-lined estate of 252 homes with up to 1,700, of which 700 would be for social housing and shared ownership. It would also include open space, community facilities, and better connections to the surrounding area. The demolition plans were passed by Tower Hamlets Council on 15 March 2012. Final planning approval for the redevelopment scheme was given in December 2012; however, despite reports that demolition has begun, as at March 2016 no part of the estate had been demolished. Some flats were empty and boarded up; others were still occupied.